Estera is a world-leading provider of offshore fiduciary and administration services with over 350 professionals across ten jurisdictions. Established for more than 25 years, our strong legal heritage, rooted in our previous partnership with Appleby, and resolute commitment to the delivery of service excellence is what sets us apart. 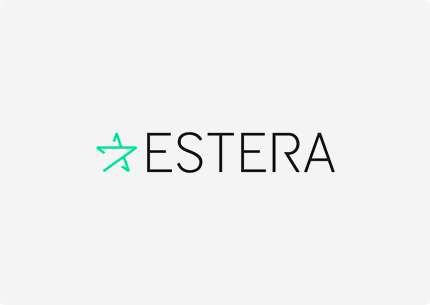 Bringing with it over 150 years of combined industry experience, Estera, a now independent and global team, provides a comprehensive and diverse range of services through its four core service lines of Corporate, Trust, Funds and Accounting. These services principally involve the formation and administration of structures including companies, funds and trusts, as well as the provision of accounting, directorship, trustee and listing sponsor services. Our Bermuda office has over 85 professionals combining excellent technical skills with a personal approach to make up one of the largest providers of corporate fiduciary services in Bermuda. Estera Services (Bermuda) Limited’s clients range from high net worth individuals and large international publicly traded companies to private client and family trusts. Estera Services (Bermuda) Limited is regulated and licensed to conduct trust business by the Bermuda Monetary Authority. Please visit our website estera.com for more information.